Barça Women managed to fight back from going a goal down at Espanyol, to register an important win which keeps then in the fight at the top of the table with Atlético Madrid. Marta Torrejón and Mariona scored in the first half, and Bárbara Latorre, in the second, after Julve had opened the scoring just three minutes in. Espanyol surprised Fran Sánchez’s side, but despite Julve’s early goal, they were quickly level thanks to Marta Torrejón. 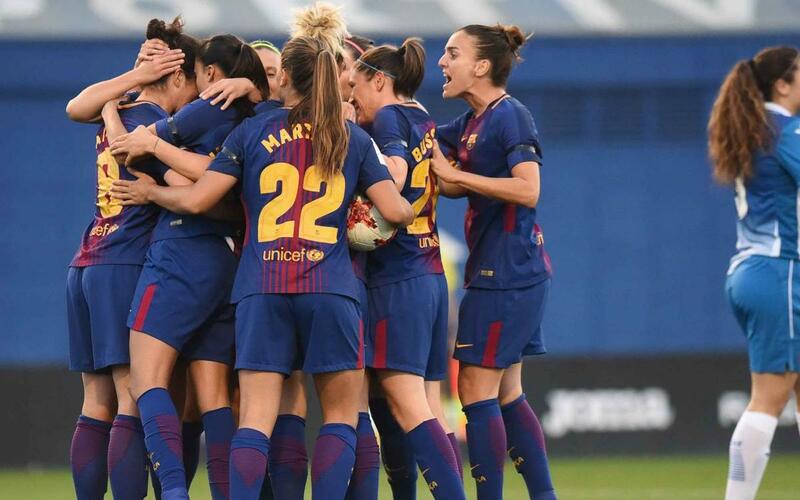 For the next quarter hour, Barça Women had total control of the ball and they were rewarded in the 22nd minute when Mariona followed up a parried Lieke Martens shot. Barça continued to have chances at the beginning of the second half, with Mariona, Barbara Latorre and Alexia Putellas all hitting the woodwork. Martens and Patri Guijarro brought the best out of Espanyol keeper, Mimi, but the Periquitos held firm. It wasn’t until the 94th minute when Bárbara Latorre made sure of the win (1-3). The victory sees Barça as temporary leaders, ahead of Atlético, who will visit Rayo Vallecano on Sunday.